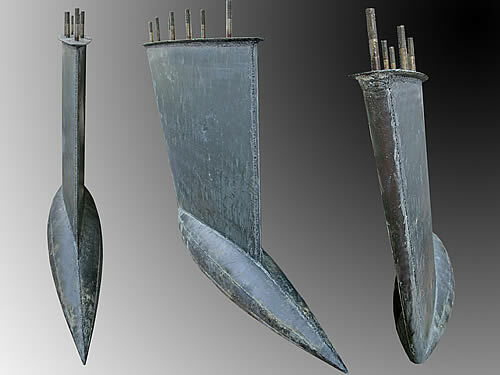 Every sailing boat needs a ballast keel to provide her stability. 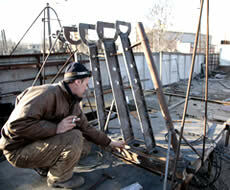 But often the builder don't pay much attention to it on the early stage of yacht building process. 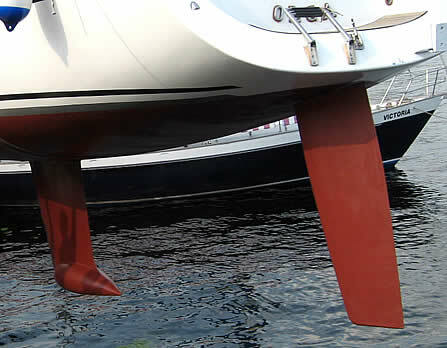 And when it comes the time to lanch the boat he suddenly discovers that both keel design and its produsing aren't as simply tasks as he thought. We can help. 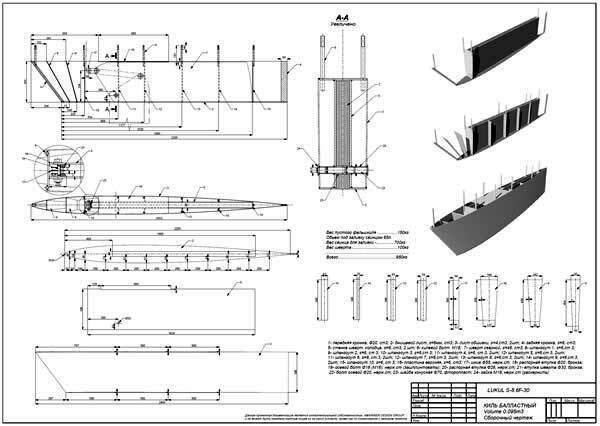 We can design fin keel for your yacht. 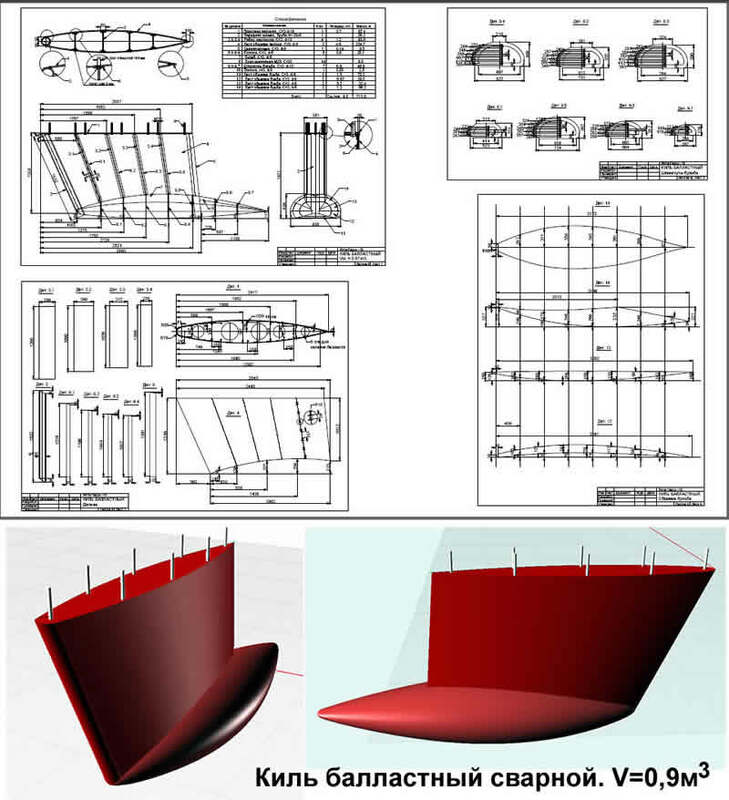 Also we can develop rudder design for any type of sailing yachts. 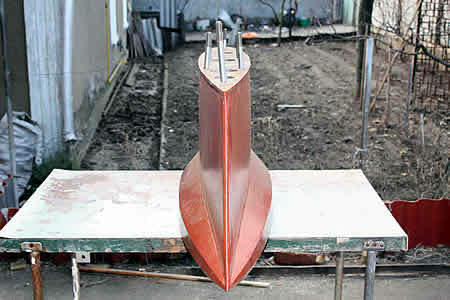 On the picture you can see fin keel with bulb for 33ft yacht. 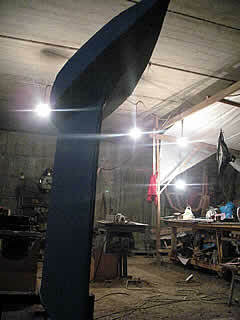 It is steel welded keel, lead filled up. 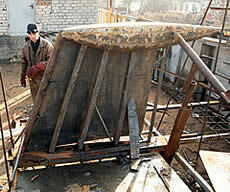 Its volume is 160 litres that gives 2 tonns of weight plus 300kg keel skin and structure itself. 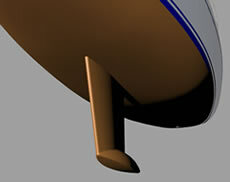 So, we have total weight 2300kg with centre of gravity as low as it possible because there is a bulb. 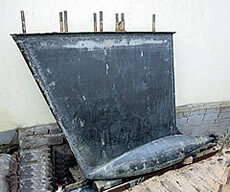 We also can produce such type ballast keel for you as you can see on pictures beneath.